Price is a valuable position: So why do companies deliberately destroy theirs? Headline in a recent issue of The Atlanta Journal-Constitution: Retailers to roll out low-price stores. As the newspaper pointed out, the Gap retail chain is in trouble and is closing 175 stores. Keeping the Gap Inc. (the corporate name) above water is the company’s low-priced Old Navy chain. Other retail chains have noticed the success of Old Navy at the low end and are using a similar strategy. Macy’s is testing an off-price concept called Macy’s Backstage. Kohl’s is testing a similar concept called Off Aisle by Kohl’s. Whole Foods announced it would open a lower-priced chain named after its in-house brand, 365 by Whole Foods Market. Price is a big issue for most consumers. While they will often go out of their way to save money, sometimes they do the opposite. They don’t shop at Whole Foods to save money. If they afford it, they shop at Whole Foods to get higher-quality organic food which they expect to pay more for. So a lower-priced chain called 365 by Whole Foods Market is bound to confuse Whole Foods’ customers. Either 365 by Whole Foods Market is lower quality and less organic than regular Whole Foods or Whole Foods has been over-charging them for decades. Either way, Whole Foods can’t win. So what is the purpose of a lower-priced Whole Foods chain? Almost every brand has a price position. Some are downscale. Some are upscale. And some are stuck in the middle, not a good position to be in. Rolex, Evian, Starbucks and many other brands are “upscale” brands. Walmart, Dollar Tree, Ikea and many other brands are “downscale” brands. 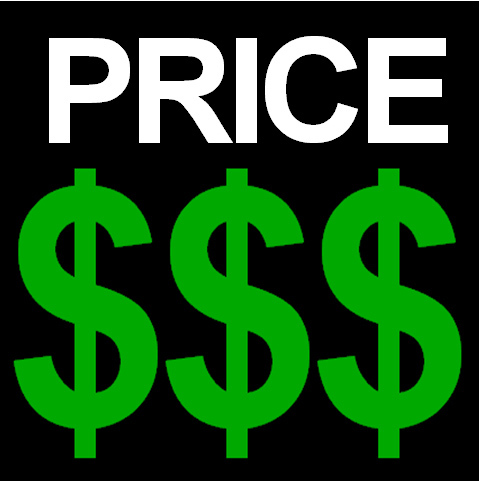 Changing a brand’s “price” position is dangerous. Years ago, Walmart tried to move into the fashion business. Among other things, they hired a top executive from Target. Opened an office in Manhattan’s Fashion District. Presented a fashion show in New York City. And ran an 8-page advertisement in Vogue magazine. It was a disaster. Fashion faux pas hurt Walmart, reported The Wall Street Journal. The Gap was one of the first chains to focus on basic clothing for the younger generation. So when the company launched Old Navy, many Gap customers just moved to the lower-priced chain. In 14 years, U.S. population was up 13 percent, but the Gap’s corporate revenues in inflation-adjusted dollars was down 13 percent. General Motors made the same mistake. In 1990, when the company launched Saturn at the low end, the objective was to create a new division to compete with Toyota and Honda. But what prospects would be most likely to buy a Saturn vehicle? Prospects that would have bought Chevrolet vehicles, General Motors’ historic low-end brand. The numbers document the disaster. In 1990, the year Saturn was introduced, Chevrolet had 19 percent of the domestic automobile market. Last year, Chevrolet had just 12 percent of the domestic market. The arrival of Old Navy made the Gap brand seem more expensive. The arrival of Saturn made the Chevrolet brand seem more expensive. How can more brands equal less market share? From management’s point of view, more brands, more models, more flavors, more of anything equals more sales. Saturn could have been enormously successful at the low end. And initially it was. For a number of years, the average Saturn dealer sold more vehicles than any other automotive brand. Saturn reached its high-water mark in 1994 when it sold 286,003 vehicles in the American market. A different kind of company. A different kind of car. Unlike other automotive brands, Saturn sold just one model, the Model S, at a low price with no haggling. So what did Saturn do next? It did what the automotive experts told it to do. It introduced a larger, more-expensive vehicle, the Model L, which Saturn’s chief executive predicted would double its sales in a few years. It never happened. When General Motors decided to shut down Saturn in 2008, the brand was marketing five different models, but sold only 188,004 vehicles that year. Let me repeat those numbers. In 1994, when Saturn was selling only one model, the brand sold 286,003 vehicles. In 2008, when Saturn was selling five models, the brand sold only 188,004 vehicles. Larger, more expensive Saturns wound up destroying Saturn’s low-price position. Why would a company deliberately do that? What Saturn should have done was to focus all its efforts on its inexpensive entry-level vehicle, the Model S. But continue to improve the model in the years that followed as well as gradually lowering its price. To understand marketing, don’t study marketing. Study history. Marketing is filled with theories that have nothing to do with reality, including line extension. In 1903, Henry Ford introduced his Model A. That year he sold 1,708 vehicles. The next year, he introduced three new models and sold just 1,695 vehicles. That experience changed his thinking. Here is what he wrote in his book, My Life and Work. In the second year, we scattered our energies among three models: Model B, Model C and Model F . . . and therefore we sold fewer cars than in the first year. In the years that followed, Henry Ford introduced the Model N, the Model R, the Model S and the Model K. Finally in 1908, he introduced the Model T which sold quite well. The salesmen, according to Henry Ford, were spurred by the great sales to think that even greater sales might be had if only we had more models. But not Ford: Therefore in 1909, I announced one morning, without previous warning, that in the future we were going to build only one model, that the model was going to be Model T.
From 1909 to 1926, Ford focused his manufacturing facilities and sales efforts on the Model T, gradually improving the model each year and reducing its price. In those 18 years, Ford’s average share of the American automobile market was 43 percent. In total, Ford produced 15 million Model T cars, the longest run in history until 1972 when it was exceeded by the Volkswagen Beetle. Now, what do you suppose was the magic ingredient in the Ford Model T? Said Henry Ford: The Model T had practically no features which were not contained in some one or other of the previous models.